On February 28, 2019, Queen Elizabeth II hosted a luncheon in honour of the King, the Queen and the Crown Prince of Jordan at Buckingham Palace in London. 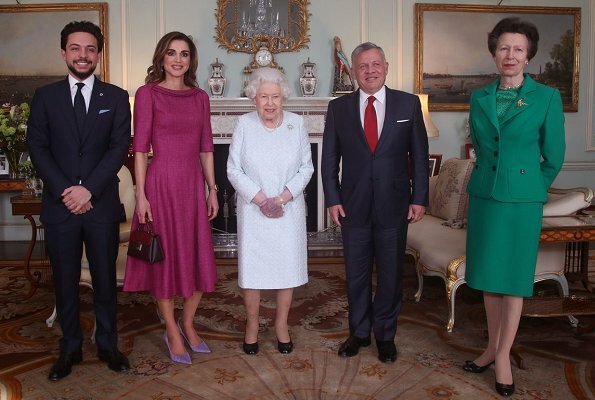 King Abdullah, Queen Rania and their son Crown Prince Al Hussein were greeted by the Queen and her daughter Princess Anne. King Abdullah arrived in the United Kingdom on Wednesday to participate in the London Initiative Conference, hosted by the British government in partnership with the Jordanian government. 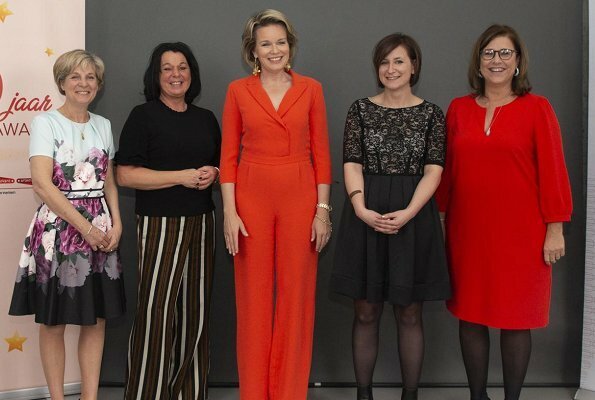 On February 27, 2019, Belgian Queen Mathilde handed out 2019 Womed Award with a ceremony held at BEL Conference Center. Womed Award is a female entrepreneur award. 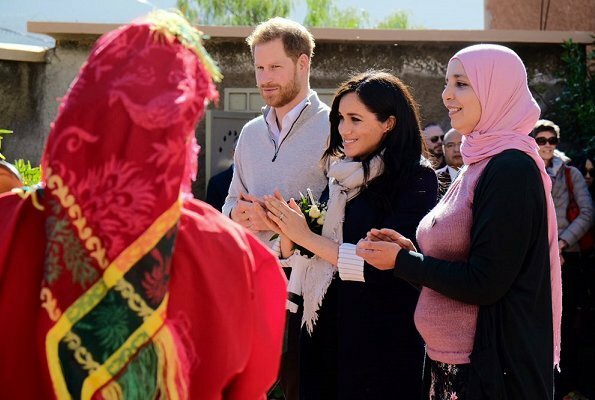 The Queen also handed out "Womed Award Zuid" which is awarded biyearly. This year, best female entrepreneur Zuid Award was given to Carmen Perdomo from El Salvador. Womed Award is an initiative supported by Flanders Innovation & Entrepreneurship, a government agency, and is organized by Markant, a female network. The award aims to bring into prominence inspiring female entrepreneurs. 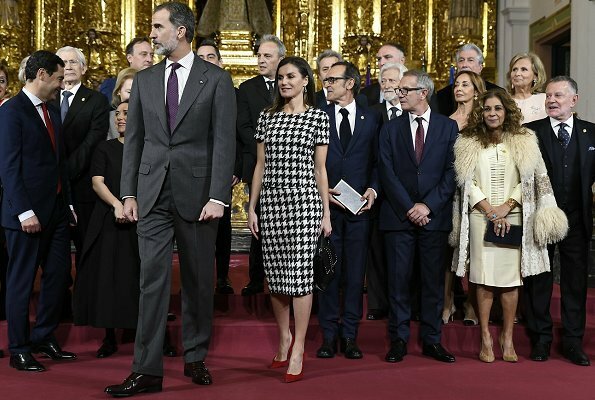 On the evening of February 27, 2019, King Felipe and Queen Letizia of Spain held a Gala Dinner at Madrid Royal Palace in honour of the President of the Republic of Peru, Martín Alberto Vizcarra Cornejo and Mrs. Maribel Díaz who are making a state visit to Spain to attend the opening of ARCOmadrid 2019 - International Contemporary Art Fair. This year, Peru is the guest country of ARCO International Contemporary Art Fair to be held between the dates of February 27 and March 3. 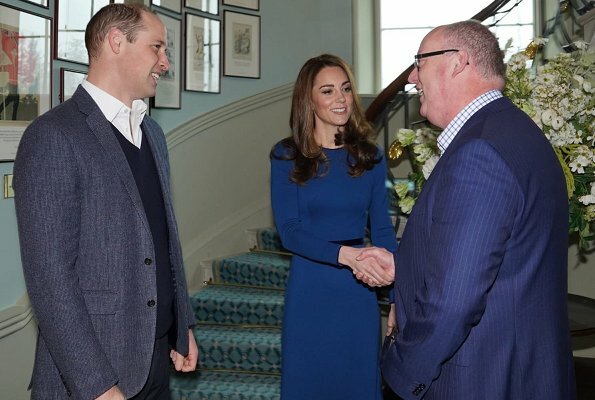 The Duke and Duchess of Cambridge are visiting Belfast, Fermanagh and Ballymena on a two day trip, 27-28 February, that will celebrate the young people of Northern Ireland. 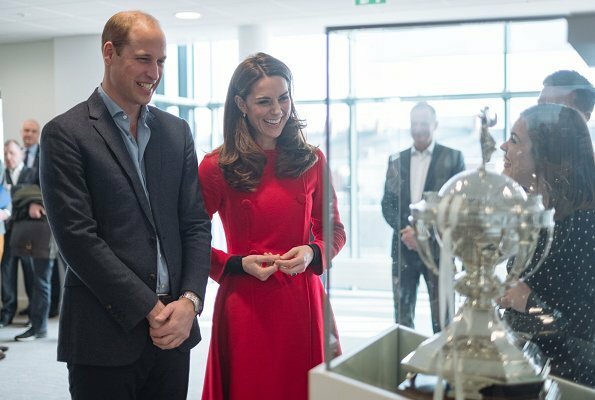 On February 27, The Duke and Duchess visited the National Stadium in Belfast, home of the Irish Football Association (IFA). The Irish Football Association run outreach programmes that benefit the mental and physical health of local communities. Then, Duke and Duchess of Cambridge visited Roscor Youth Village in Co. Fermanagh. Roscor Youth Village is a residential activity centre run by the charity Extern for children referred to the charity by social workers or the Department of Justice. 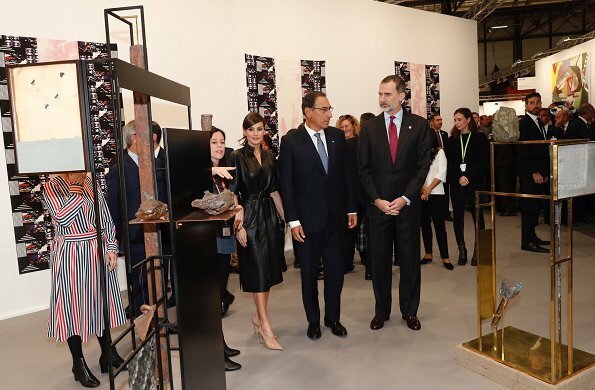 On February 26, 2019, Queen Sofia of Spain attended scholarship presentation ceremony of the Reina Sofia Foundation. The presentation ceremony took place at the Queen Sofia Foundation Alzheimer Center in Madrid. Infanta Elena also attended scholarship presentation ceremony. The Queen Sofía Foundation Alzheimer's Centre, as regards healthcare provision, is managed by the Autonomous Community of Madrid. Princess Charlene of Monaco arrived in South Africa together with her children Crown Prince Jacques and Princess Gabriella on the evening of February 7. On February 8, 2019, Princess Charlene visited her mother's and father's home to celebrate her father's birthday and in addition, she visited the schools supported by her foundation together with her children. 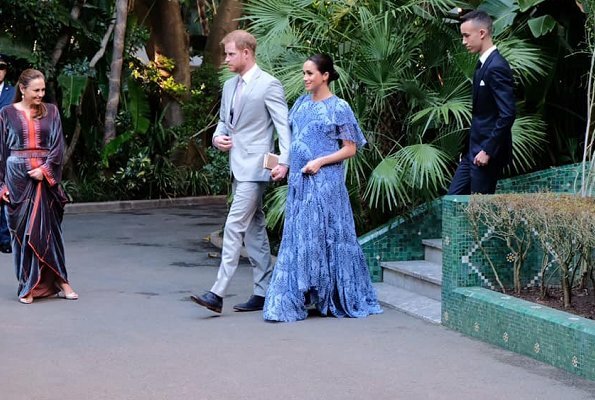 Afterwards, Prince Albert of Monaco joined the family and the family alltogether had a summer holiday in South Africa, the homeland of Princess Charlene. Prince Albert and Princess Charlene visited different regions of South Africa together with Crown Prince Jacques and Princess Gabriella. New photos taken during these visits showing the family together were released. 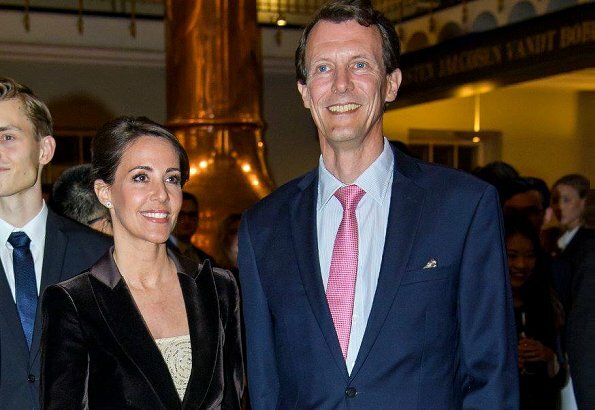 On February 25, 2019, Prince Joachim and Princess Marie attended the CBS Case Competition's Welcome Dinner at the Ny Carlsberg Brewery in Copenhagen. CBS Case Competition is an annual undergraduate case competition held between 12 selected international universities. The universities are represented by teams of students who try to solve a real-life business challenge. The organization holding the competition is a non-profit organization run by students at Copenhagen Business School. Queen Mathilde of Belgium attended the opening session of the World Resources Forum which is held at Flanders Meeting & Convention Center in Antwerp on February 25-26, 2019. 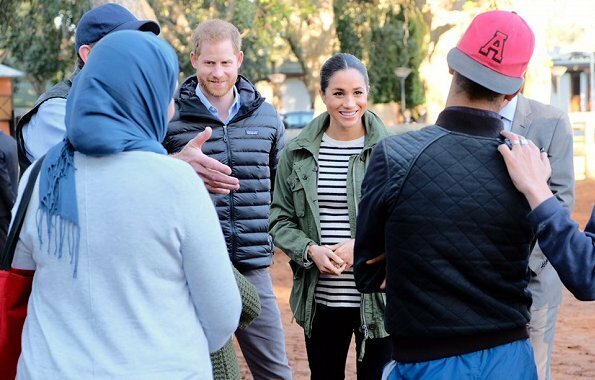 In her capacity as United Nations Sustainable Development Goals (SDG) Advocate, The Queen also took part in a discussion with young people and students participating in the Recupel E-loop Challenge. WRF is an independent non-profit international organization which serves as a platform connecting and fostering knowledge exchange on resources management amongst business leaders, policy-makers, non governmental organizations, scientists and the public. 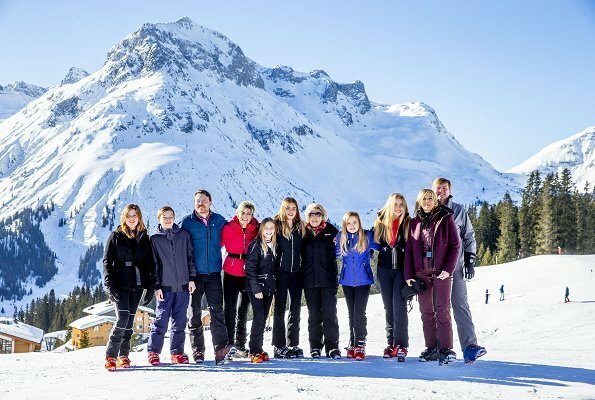 On February 25, 2019, Dutch royal family held a photo session in Lech in Austria. King Willem-Alexander, Queen Maxima, Crown Princess Catharina-Amalia, Princess Alexia, Princess Ariane, Princess Beatrix, Prince Constantijn, Princess Laurentien, Countess Eloise, Count Claus-Casimir and Countess Leonore attended the photo session. Dutch royal family holds two annual photo calls every year with the press. As a result, the media agrees to leave the family alone during their private time and holidays. 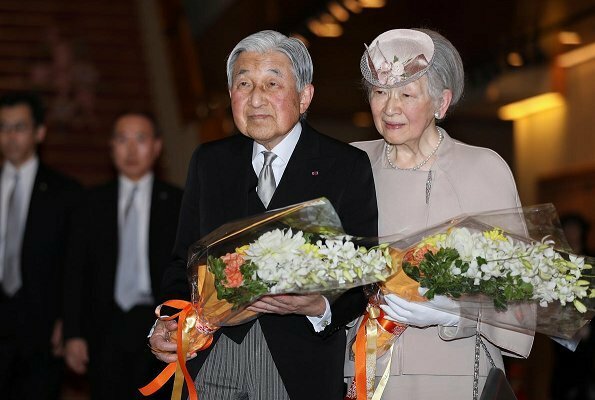 On February 24, 2019, Japanese Emperor Akihito and Empress Michiko attended a ceremony to mark the 30th anniversary of the Monarch's coronation to the throne. The government-sponsored ceremony at the National Theatre in Tokyo was attended by Japanese Prime Minister Shinzo Abe. 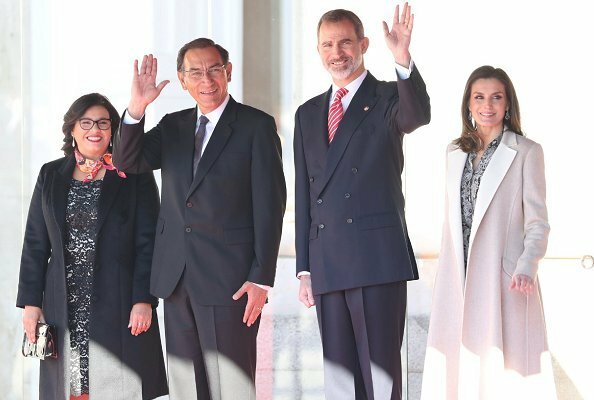 in the morning, the Emperor received celebratory greetings at the Imperial Palace from Crown Prince Naruhito, Crown Princess Masako, Prince Fumihito and Princess Kiko. Japan's Emperor Akihito is set to step down from the Chrysanthemum throne on April 30, 2019. Japan's Crown Prince Naruhito will accede to the throne on May 1 that year. 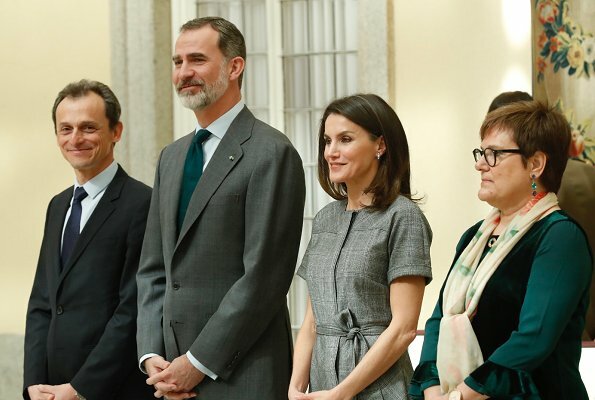 On February 23, 2019, with a delivery ceremony held at parachute brigade's base in Paracuellos del Jarama near Madrid, Queen Letizia presented the National Flag to the "Napoles" Infantry Regiment No. 4 of Paratroopers. The National Flag presented by The Queen was integrated with the coat of arms of the 4th Parachute Infantry Flag, "Roger de Flor" and "Roger de Lauria". 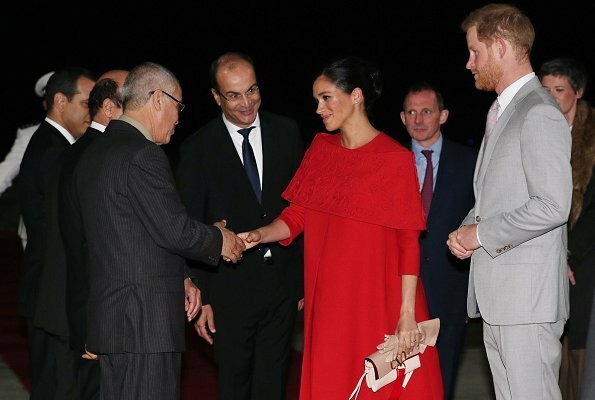 The Queen is wearing her Felipe Varela dress. 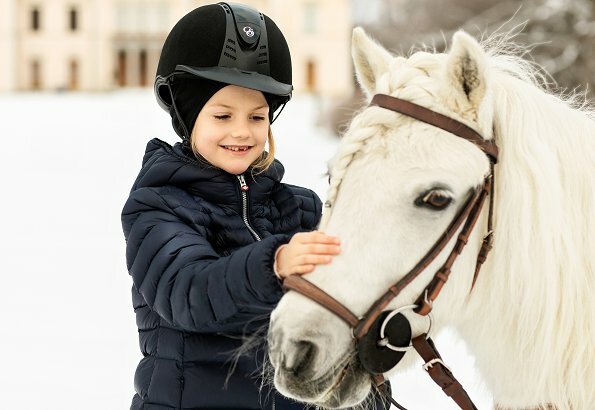 Daughter of Swedish Crown Princess Victoria and Prince Daniel, Princess Estelle celebrates her seventh birthday today. (Estelle Silvia Ewa Mary, Princess of Sweden, Duchess of Östergötland was born on February 23, 2012). Swedish Royal Court released two new photos on the occasion of that birthday. The photos were taken by royal photographer Linda Broström in outside of Rosendal Castle, at Royal Djurgarden, a few weeks ago. Princess Estelle is second in the line of succession to the Swedish throne. Happy birthday to you, Princess Estelle of Sweden. On February 22, Prince Albert II and Princess Charlene, their twins Prince Jacques and Princess Gabriella of Monaco, and Pierre Casiraghi attended the inauguration of the new Luxury complex the "One Monte-Carlo" in Monaco. Construction began in 2008, with a budget of €250 million. The project, located next to the Place du Casino in the heart of Monte Carlo, is made up of homes, offices, shops and restaurants. 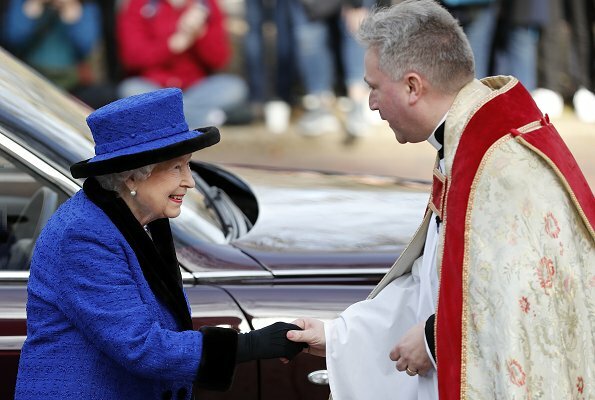 On February 22, 2019, Queen Elizabeth II, Patron, The Royal Army Chaplains' Department (AChD), attended a service to celebrate the centenary of when King George V granted the prefix 'Royal' to the department. The service was held at The Guards’ Chapel, Wellington Barracks. The Queen’s grandfather, King George V, bestowed their Royal title in recognition of its outstanding service and sacrifice during the First World War 200 years ago today. AChD was formed by Royal Warrant of 23 September 1796. Princess Charlene of Monaco is currently in South Africa together with her twins Prince Jacques and Princess Gabriella. 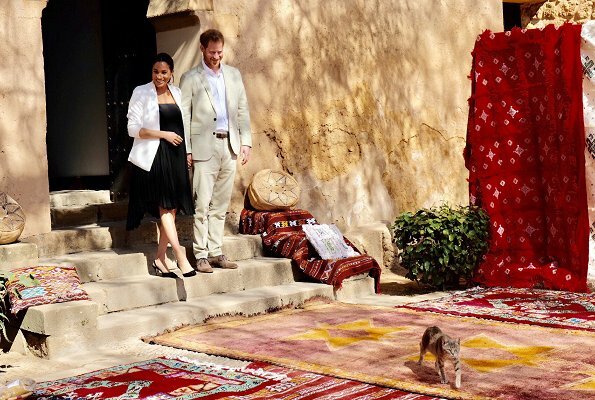 The royal family arrived in South Africa on February 7. 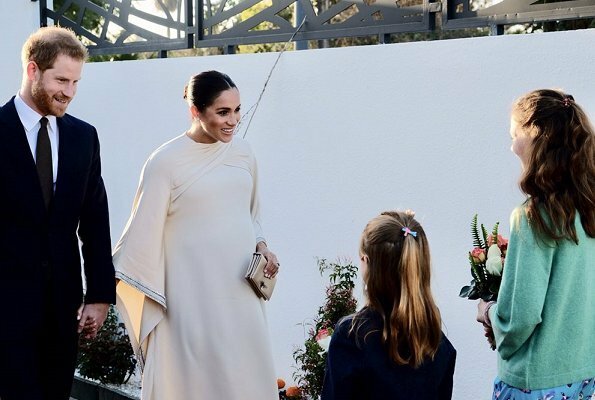 On February 8, the royal family visited Lynette and Mike Wittstock’s home in Rynfield to celebrate Princess Charlene's father Mike Wittstock’s birthday. The family also visited the twins' cousins' school, St Dunstan’s Preparatory College in Rynfield. On February 20, Princess Charlene visited Gugulesizwe Primary School in Daveyton together with her twins Prince Jacques and Princess Gabriella. The school is supported by The Princess Charlene of Monaco Foundation. 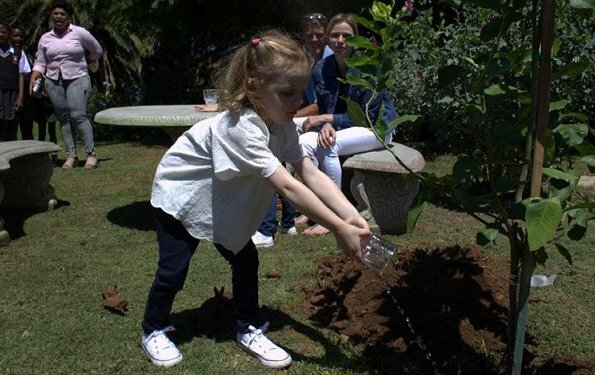 Princess Gabriella and Prince Jacques participated in various activities at the schoolyard including dibbling. 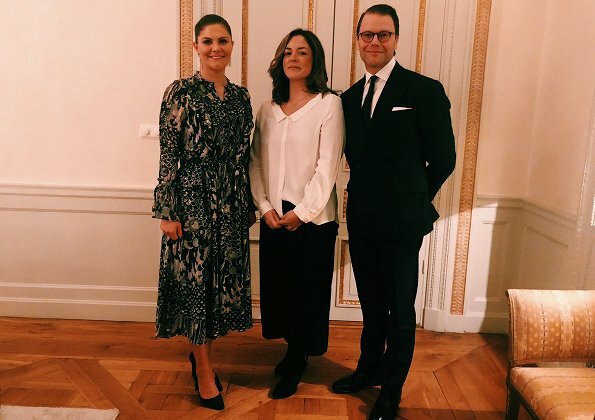 On February 20, Wednesday, Crown Princess Victoria, her children Princess Estelle and Prince Oscar visited The Royal Collections (Kungliga Husgerådskammaren) at the Royal Palace. 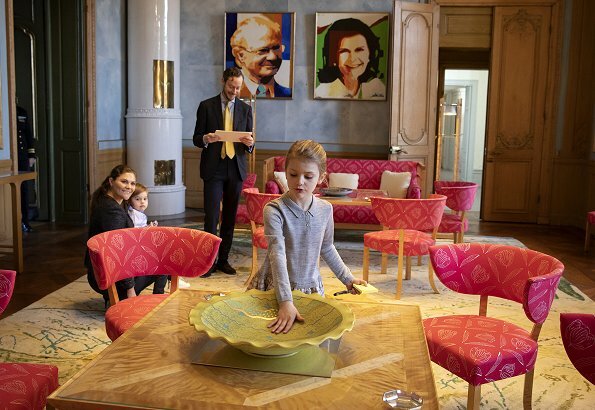 The Crown Princess and Estelle visited Carl XVI Gustaf's anniversary room and Oskar II's writing room together with curator Alexander Holm. Princess Estelle viewed old archive photos, furnitures and paintings, and received information about The Royal Collections. Conservation and maintenance of The Royal Collections is carried out by around 30 employees who have different qualifications, such as curators, librarians, photographers, textile, furniture and metal conservators. 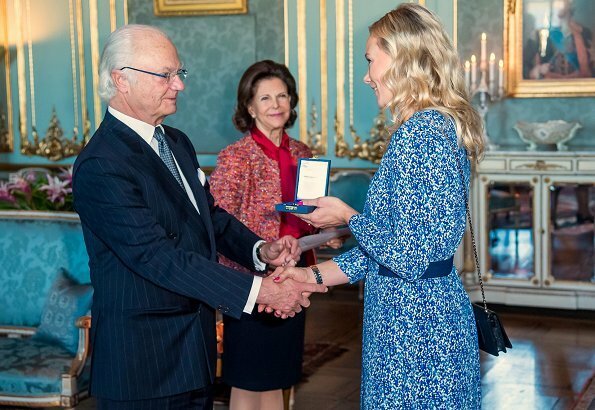 On February 20, Wednesday, King Carl Gustaf presented HM The King's Medals to the Swedish athletes who have delivered an outstanding performance last year. 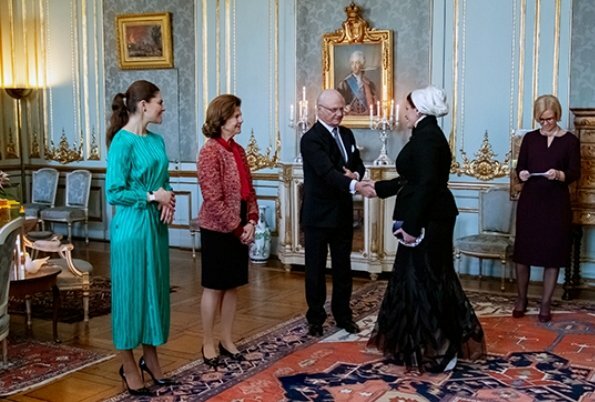 The medal ceremony took place in Princess Sibylla's Apartments at Stockholm Royal Palace. Queen Silvia attended the medal ceremony too. HM The King's Medal was instituted around 1814, and is awarded in a number of different sizes. It is awarded to Swedish and foreign citizens who have made exceptional contributions in Swedish sport. On February 20, 2019, it has been one year since Prince Henrik’s funeral service at Christiansborg Palace Church. 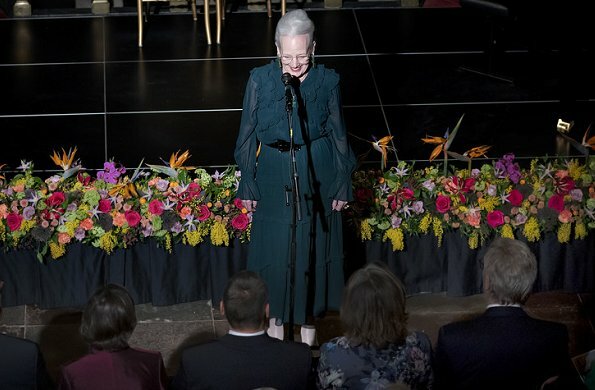 For this occasion, Queen Margrethe II of Denmark organized a memorial concert in Fredensborg Palace Church and invited close friends of Prince Henrik to the concert. 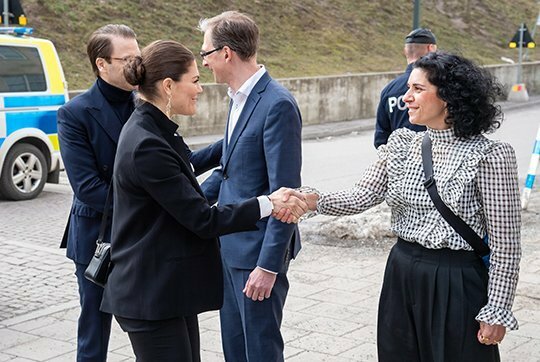 At the memorial concert, Danish Crown Prince Frederik, Crown Princess Mary, Prince Joachim and Princess Marie were present. After the concert, The Queen held a gathering in the Dome Hall at Fredensborg Palace in Copenhagen. Danish Prince Henrik died on February 13, 2018. 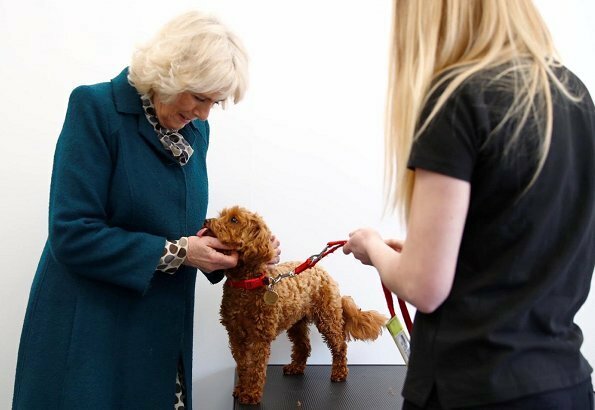 On February 20, 2019, The Duchess of Cornwall opened the new Medical Detection Dogs (MDD) training centre in Milton Keynes, Buckinghamshire. Medical Detection Dogs was founded in 2008 by Dr Claire Guest and Dr John Church, who believed that dogs' powerful noses could help detect disease. The charity now train medical alert dogs to work alongside people with health problems such as diabetes and nut allergies, as well as other specialist dogs who can detect diseases such as cancer and Parkinson's. 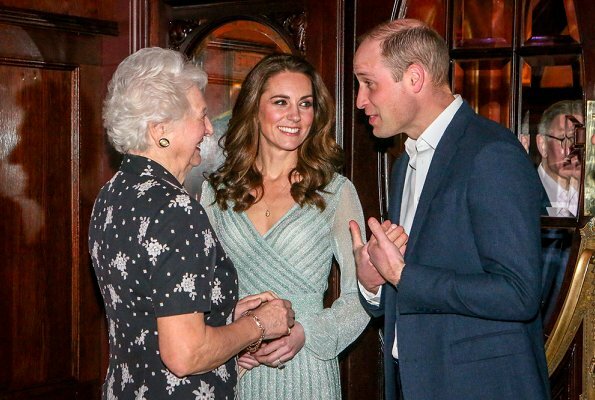 The Duchess has been the charity's patron since 2014. 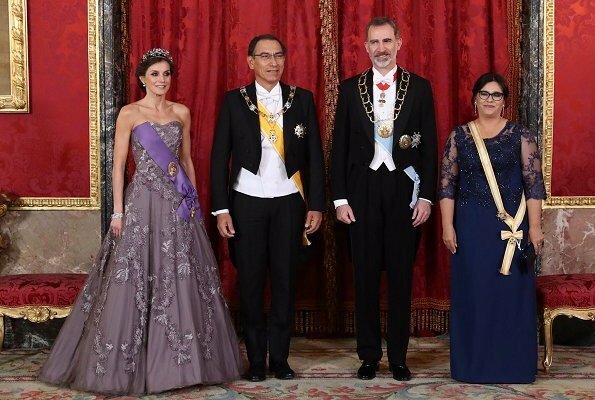 On February 20, King Felipe VI and Queen Letizia held a lunch at Zarzuela Palace for President Marcelo Rebelo de Sousa of Portugal who visits Spain to attend "World Peace and Liberty Award" ceremony. At the award ceremony held at the closing session of World Law Congress, "World Peace and Liberty Award" was given to the Spanish King. Happy birthday to you, Princess Leonore! Swedish Princess Leonore celebrates her fifth birthday today. Leonore Lilian Maria, Princess of Sweden, Duchess of Gotland, was born on February 20, 2014. She is the first child of Princess Madeleine of Sweden and Mr. Christopher O'Neill. 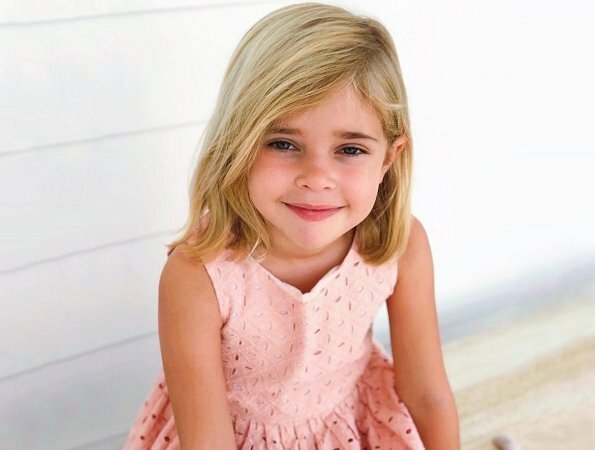 On the occasion of that birthday, Swedish royal court released a new photo of Princess Leonore. Yesterday,Princess Madeleine shared a new photo of Princess Leonore and Prince Nicolas on her Instagram page. 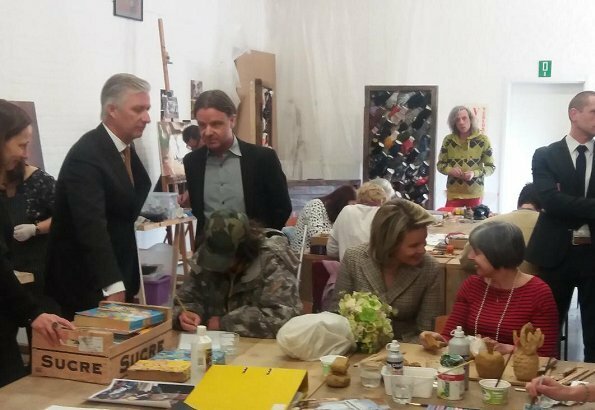 On February 20, 2019, Dutch Queen Maxima visited Vlissingen which is a port city of Zeeland within the scope of ‘’More music in the classroom’’ programme. 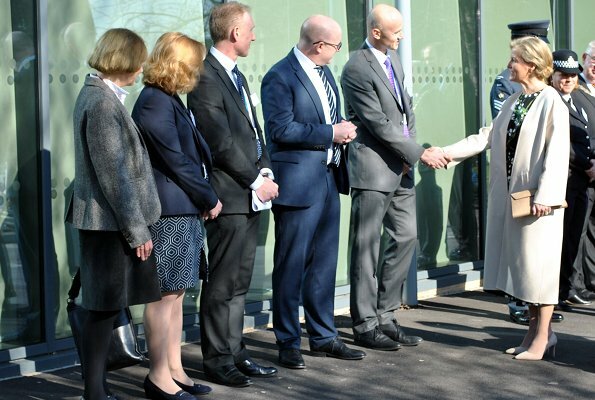 In the morning, The Queen attended a meeting at Lasloods (welding hangar) and signed an agreement with local partners, regarding giving more music education in schools. 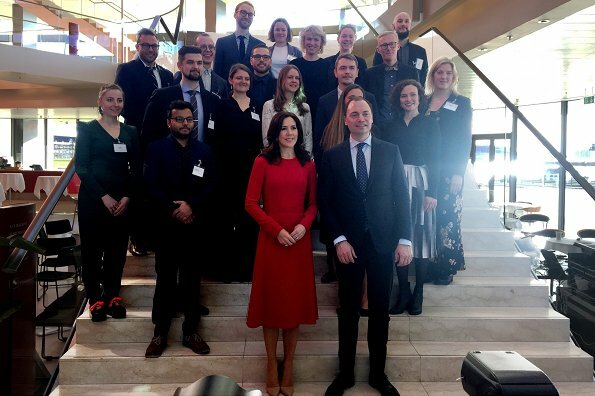 The agreement includes commitments on formalizing of music education to be given to children in all primary schools in Zeeland in the next years. The Queen is the honorary president of "More music in the classroom" (Meer Muziek in de Klas). 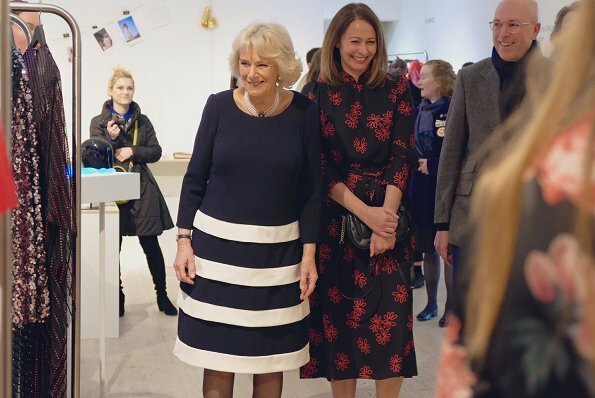 On February 19, The Duchess of Cornwall attended London Fashion Week to present the Queen Elizabeth II Award for Design on behalf of The Queen and meet young and upcoming designers. The Duchess presents the Queen Elizabeth II Award for Design, on behalf of The Queen, to designer Bethany Williams. Made out of recycled and organic materials, Bethany Williams’ designs are often in collaboration with charitable organisations. For her latest collection, Williams made clothes from newspaper waste and recycled denim, and worked with Adelaide House, a women’s shelter in Liverpool. 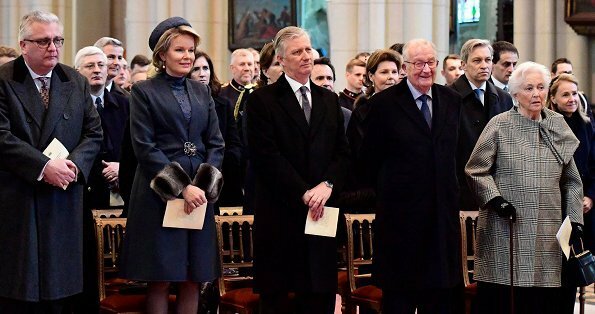 On February 19, 2019, members of Belgian Royal family, that is, King Philippe, Queen Mathilde, King Albert II, Queen Paola, Prince Laurent, Princess Esméralda, Princess Léa and Princess Margaretha attended a commemorative service held in memory of the deceased members of the family at Notre Dame Church in Laeken. The church service in memory of the deceased members of the family is held traditionally every year. 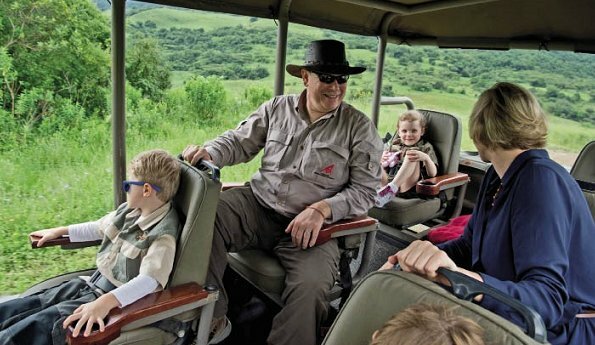 Princess Gabriella and Crown Prince Jacques of Monaco visited Kwazulu-Natal Nature Reserve in South Africa. 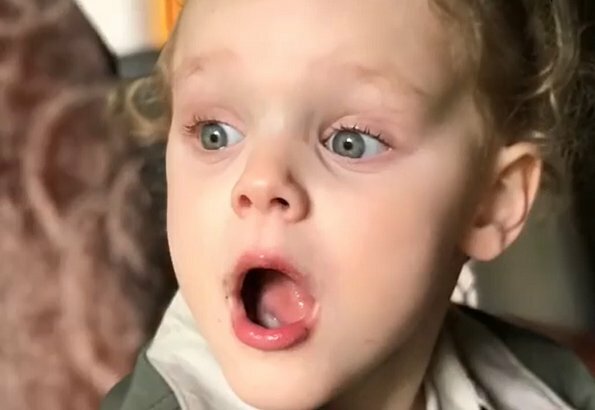 During that visit, a series of photos of Princess Gabriella and Prince Jacques were taken and Princess Charlene of Monaco shared a slide with the title "First African Experience" on her Instagram account. 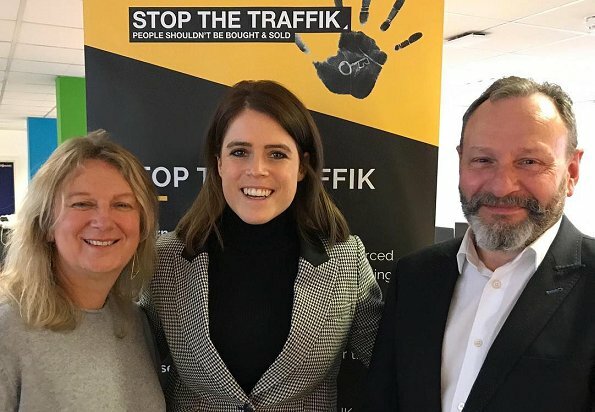 Yesterday, Princess Eugenie of York visited 'Stop the Traffik' organization which is a leading global movement that works for prevention of human trafficking. Human trafficking and modern slavery are thought to be amongst the most widespread crimes in the world and those crimes affect millions of men, women and children every day. Today, Hereditary Grand Duchess Stephanie celebrates her 35th birthday. 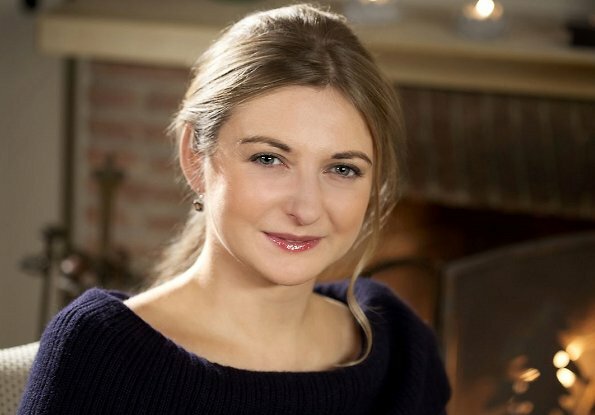 Duchess Stéphanie (Countess Stéphanie de Lannoy) was born on February 18, 1984 in Ronse in East Flanders region of Belgium. She got engaged to Hereditary Grand Duke Guillaume on April 26, 2012 and got married to him on October 19, 2012 with a civil ceremony. Hereditary Grand Duchess Stephanie is currently in London.